Linda Widyati & Pusponegoro (LWP) is a boutique law firm established by Linda Widyati, Arisia Pusponegoro and Dezi Kirana. Linda, Arisia and Dezi are leading Indonesian lawyers who are highly experienced in Corporate M&A, Banking and Finance, Infrastructure, Energy and Resources. With our vast experience and deep understanding of the law, the legal environment and the market, we are well-placed to providing high quality advice and legal services to our clients. Linda, Arisia and Dezi were partners of Linda Widyati and Partners in association with Clifford Chance. Indonesia is a dynamic, developing and multi-cultured country. It presents unique challenges and rewards. LWP understands the challenges faced by our clients. Indonesia presents many, from the constantly evolving and complex regulations and policies; the overlap between national and regional regulations; enforcement issues and sometimes delicate government interactions. All this has to be done in an environment of ever global compliance and transparency requirements. LWP is well placed and experienced in assisting our clients in navigating through Indonesia’s complex and exciting legal environment so they can participate in its vibrant economy and take advantage of the vast opportunities that it offers. We advise across a broad range of corporate work including domestic and foreign investments, general corporate, corporate governance issues, employment, commercial agreements, joint ventures and corporate restructurings. We advise on merger and acquisitions, public take-overs, tender offers, divestment, merger filings, anti-trust issues, reporting and compliance requirements, licencing and regulatory advice. We advise on various sectors including power, coal and mineral mining as well as oil and gas. Our work includes advising on power purchase agreements, production sharing contracts, contract of works, structuring of investments, licencing and regulatory advice. We advise on commercial loans, syariah financing, aircraft financing and project financing. Our work includes facility agreements, security documents, enforcement of security, bankruptcy issues, restructuring, reporting and compliance requirements, licencing and regulatory advice. We advise on various sectors including ports, airports, toll-roads and railways. Our work includes concession agreements, structuring of investments, land acquisitions, licencing and regulatory advice. You are in safe capable hands! 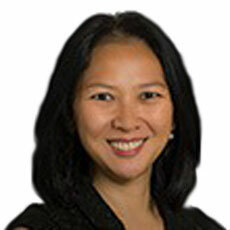 Linda is one of the most respected Corporate/M&A lawyers in Indonesia with more than 25 years of experience. Linda’s expertise and experience cover a broad range of legal practice areas including Corporate/M&A, Banking and Finance and Capital Markets. Linda is ranked as Band 1 in Corporate/M&A Indonesia in Chambers Global 2017. Linda is recognized as “highly regarded” in IFLR 1000 for practice areas: banking, capital markets, M&A, project finance, restructuring and insolvency. Linda is recognised in Who’s Who Legal banking and finance. Linda is a licensed Advocate and a member of the Indonesian Advocates Association (Peradi). 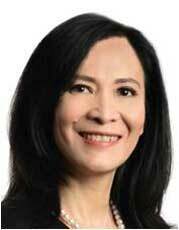 She is also a registered capital market legal consultant with the Indonesian Financial Services Authority (OJK) and a qualified receiver and administrator for bankruptcy and suspension of payments proceedings. Linda loves reading and travelling with a keen interest in having a good meal. Arisia is well-known as a “go-to” lawyer for infrastructure and power sector in Indonesia. Arisia’s specializes in banking and finance, project finance, public private partnerships, power and infrastructure sectors representing the Government, state-owned enterprises, domestic and multinational companies. Arisia is recognised by IFLR 1000 as “highly regarded” in banking. Arisia is a sought after speaker in infrastructure and power conferences and seminars. Arisia is a licensed Advocate and a member of the Indonesian Advocates Association (Peradi). She is also a registered capital market legal consultant with the Indonesian Financial Services Authority (OJK). Arisia is an avid collector of Indonesian paintings and an advocate of Batik, traditional Indonesian design. Dezi is a well-known senior energy and resources lawyer in Indonesia with more than 24 years of experience. Dezi’s specializes in energy and resources sectors in particular mining and oil and gas. However, Dezi’s expertise and experience cover a broad range of legal practice areas which include Corporate/M&A, Vessel Financing and Project Finance. Dezi is a licensed Advocate and a member of the Indonesian Advocates Association (Peradi). 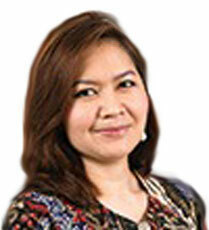 She is also a registered capital market legal consultant with the Indonesian Financial Services Authority (OJK). Dezi is also a registered sworn translator providing services to multinational companies including in arbitration proceedings. Dezi enjoys reading, cooking and the occasional game of golf.